Eos consultants bring to clients a broad range of skills and backgrounds; and all of us are deeply experienced. Byron holds a BS from the US Air Force Academy, and an MA and Ph.D from Harvard University. John has a BA in Mathematics from Holy Cross College and two Master’s degrees — Computer Science and Management/Finance from Rensselaer Polytechnic Institute (RPI). 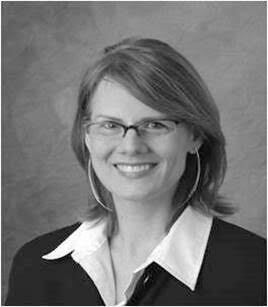 Kim Patrick Gerra has 20+ years of experience of product development and executive management. She has worked in many industries, including defense, travel, and healthcare. Craig Murphy has over 35 years experience in engineering and technology, including executive management. He is a technically savvy thought leader capable of both strategic vision and project execution. Craig has a BSME from The University of Texas at Austin and a PhD in mineral economics from Colorado School of Mines. He is a Professional Engineer (now inactive), a certified Project Management Professional and a Certified Business Continuity Professional. Dr Drew Miller worked business process redesign, business development and strategic planning positions at ConAgra Inc, as Vice President for Planning and Development at Securities America, and as a consultant for dozens of companies. Drew also served in the Dept of Defense Senior Executive Service in the Business Management Modernization Program, working with enterprise architecture, business process redesign, and Enterprise Resource Planning Systems. His blockchain work is primarily with Ethereum. Drew has done extensive industry analysis studies and M&A due diligence reviews detailing client competitor’s value chains and competitive advantages, and designing strategies and new products that best leverage strengths and exploit business opportunities. Drew served as a registered investment advisor and is familiar with ICO regulatory requirements. A Certified Management Accountant and Certified Financial Planner, Drew is an Air Force Academy honor graduate, with a Masters Degree and PhD from Harvard Univ in Operations Research. President and/or CEO of international companies focused in the development and application of innovative advanced technology products. Senior leader of large government organizations focused on advanced technology developments to include global operations for the Department of Defense’s Chemical Biological Radiological and Nuclear Defense international cooperative material development activities, Director of International Technology Centers and cross-governmental operations. Experienced international negotiator and advisor to the U.S. Secretary of Defense on governance matters related to political-military issues and democratic systems. Professor at the JMIC (now the National Intelligence University), McArthur Fellow and teaching assistant at Harvard University, lecturer in various universities in Europe and Latin America. Frédéric holds a BA from The University of Chicago, an MA and Ph.D. from Harvard University, and an MS from the National Defense University and Certificats from the Centre des Hautes Études de l’Armement and the Institut Études Politiques in Paris, France. He has native fluency in three languages and is semi-fluent in two additional languages. 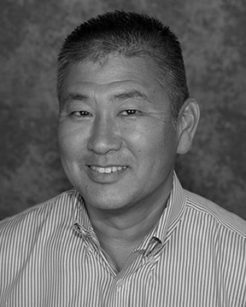 Lawler Kang brings a novel blend of distinct entrepreneurial, corporate and turnaround experiences, from strategy to implementation, gained over his 30+ year career. Mark-Tami has a BSME from MIT and an MBA from Stanford.